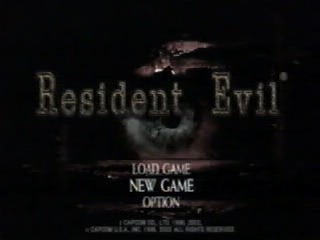 This 2002 remake of the original Resident Evil adds and changes many things from the original. You play as either Chris Redfield or Jill Valentine of the S.T.A.R.S. Alpha team, sent to find the S.T.A.R.S. Bravo team who lost contact during a murder investigation. Best time as Chris: Single-segment 1:31:40 by Derrick 'The Deity' Eide on 2012-05-08. Best time as Jill: Single-segment 1:29:43 by Shawn Jones (smilingjack13) on 2004-08-17. Best time as Jill w/Rocket Launcher: Single-segment 1:24:35 by Trevor Seguin on 2004-05-19. Best 100% time as Jill: Single-segment 1:29:20 by 'sshplur' on 2015-03-20. Single-segment as Chris: 1:31:40 by Derrick Eide. This is my first ever solo speedrun for SDA and on one of my favorite games, so it was quite the fun little project. Oh, by little I mean a 4 month project that brought me to some interesting points of frustration. I knew if I kept at it I would persevere though. The former run on SDA done in 2005 by Shawn Jones was a pretty impressive one I have to say. I always considered myself good at the game myself, so I thought: Why not try to run it and get a record? I had always just played it for fun and done crazy stuff like invisible enemy, handgun only, no first aid sprays, rescue all survivors, and on hard. My speedruns were always for fun too and never serious, but this time I decided to finally just go for it. I started playing as Chris more and more for the past few years or so and began to get even more accustomed to his scenario than Jill. It truly is a run I'm more than proud of and I showed myself that if I'm determined enough, I can achieve great things. Before I get on to the actual run I would like to thank some people who helped in one way or another with this run. FIrst of all Shawn Jones for his original run to help give me a standard to shoot for, and also some stuff in his run that helped me improve. Then there is Trevor Seguin who is a true machine and probably the master of this game. He was an amazing inspiration for me always and always will be. Then there is also the Remake runner known as Davis, who also has many great runs and is inspirational too. Then there is the online friend of mine Matt also known as Matterino76 on Youtube. He has been a great guy since I started working on my old Co-op RE5 run, and now this run. He supported me a lot and I have nothing but thanks for it. Also someone else who deserves a huge thanks is Greg Innes, also known as TheThrillness on Youtube and my former RE5 LiN Co-op partner. He sent me the EZcap long ago for our run, that I used too for this run. So that made it possible to submit on SDA. Last but not least, I would like to dedicate this run to my great grandma who passed away awhile back during the time I started attempting this run. I love you and you will always be missed. Beginning mansion/Dogs: Funnily enough the first few minutes of the run for me is actually what contains the first few mistakes. I had just went 2 straight days with having my first attempt of the day go to the end of the game, so I was totally not expecting my first attempt of the day to make it the end again for the 3rd straight day. Because of this I wasn't as focused as I should have been and ran into a wall for a second and the game made me quick turn for no apparent reason on my way down to the crimson head grave to get the book of curse. Other than that stuff though, it's pretty good from there on out. The dog fight for the collar is awesome and just what I wanted. It wasn't one of my best attempts, but damn good. I've had 3 attempts or so where I never got touched and got the handgun to fire 3 shot bursts more consistently. I didn't have to heal though and it was smooth as ever. Finishing mansion/Crimson Head: Mostly the rest of the mansion went flawless. There is one part where I accidentally read a desk for a second and in the room where I use the lighter my running isn't perfect, but other than that I couldn't imagine anything better. I ended up using my dagger on the zombie coming up from bringing Richard to serum room, but I RARELY made it out of mansion without getting grabbed at all, so that was expected. I never got bit in the entire mansion at all though so that's what really mattered. I like my clock puzzle and everything is good leading up to the crimson head. Here is where I got completely nervous though. This crimson head loves to destroy good runs and being as random as he is, it was likely that he would. You need him to grab right away, plain and simple. Sometimes he would and other times he just... WOULD NOT. It was frustrating to say the least. I tried a new strategy of just shooting him off the bat to make him run at me and get to me sooner. Then I would run into him and hope for the best. It worked this time thankfully as perfect as it could and I make it out of that graveyard on my way to Lisa's cabin. Forest/Lisa's Cabin: This is also a pretty nerveracking part of the run. The weathervanes in the forest can sometimes be SUPER fast and this time was no exception. One wrong slip of the finger and it could be over 10 seconds lost. Luckily though I remained calm and did it flawlessly. I was a bit safe on the first weathervane though, but come on, it's a single-segment. In Lisa's cabin the item box was perfect. Lisa hit me but barely any time lost so nothing to be mad over. Then on to the residence. Residence: Nothing can really go wrong for most of this section but for what it's worth, I loved everything. My running was great and for once I actually made it past the sharks in the aqua ring without getting bitten haha. I drained the tank very fast and made it out as fast as I wanted to. Plant 42: This boss fight is pretty nerveracking. I devised a strategy much different from the old run on SDA. It was a bit riskier, but if I focused and played it right then there was nothing that could really go wrong. I sometimes could do the fight in just 10 shotgun shells which is beyond perfect. Before I did this run I always thought that Plant 42 took 12 shells everytime or at best 11. Looks like I was wrong and the one who proved myself wrong, was me :P Off the bat I go up and fire 3 shots and the plant closes. I then run over to the other end and this is VERY important where I stand. There is a spot beside the stairs here that if I stand on directly, Plant 42 just cannot hit me with its tentacles. It's specific though and risky, but I got the hang of it and wasn't too worried. The 4th shot causes the boss to go to it's next phase of the fight and I get a 5th shot before it closes. I now use this time to reload quickly and when it opens I fire 3 more shots from here. I think all the close shots from this angle is what makes the fight better, while not being hit by tentacles. Closer shots in this game do more damage, so that's really why. With this strategy though I DO have to take one hit from acid but that's it. After the it closes again I run over to the other end to not get hit by acid anymore and so when the fight ends I can immediately run down the stairs on the left side. I was on orange caution but it didn't matter as I had to wait for the plant to reopen again anyways. Again I have to run to a specific spot to not be hit by tentacles. On my final 11th shot when it usually dies I heard the plant closing and though I was done for. I JUST killed it though with my final 11th shot and took a breath out in MAJOR relief. I heal while I go into inventory to reload shotgun and unequip it so no time lost. Back to the mansion: Snakes on way back to mansion can poison you, but I found a perfect way to run around them almost everytime that lets you dodge them and not get bitten so I wasn't too worried. The hunters near the stairs coming back to the mansion had me worried though. My strategy usually works but sometimes you just never know. They can act weird and the hunter downstairs can jump up in front of you and trap you on the stairs and waste tons of time and health. Luckiliy though the strat went perfect and I made my way to the basement. Here is where another mistake happens in the run. Again nothing too huge but I JUST get grabbed by the zombie in the basement and use the flash grenade on him. Running back out it blows up in front of me but I still was on good health so it didn't matter. This at least allowed me to run by the 2nd zombie and into the kitchen. I check the table 4 stupid times before it lets me pick up the dagger that I didn't even have to use in the run lol. I wanted to be safe though as after I use the elevator there is some risky parts coming up. I go into the closet room after the elevator to get the shotgun ammo and battery and leave. I usually pick up the defense item on the ground but after the bs with the zombie in the basement and the kitchen table, I wanted to make up some time and skip it. It worked out great and the next hallway of zombies that I always dread in my run, was a total breeze. Everything stayed out of my way and I just ran through to the snake boss. Snake: This fight was flawless. Nothing else I can say lol. Leaving mansion: I go get the red gem from the deer room then go downstairs for my item box trip which was fantastic. Now I leave to the main hall to enter the final helmet key room. Last run this room with the mirror and zombie screwed me up. It's usually easy but the zombie JUST grabbed me from behind last run and messed my health up. This run though was flawless and I run a perfect circle around him and grab the box and leave. Then it's outside to the mines and I can just run directly by the annoying hunter. I make it to put in the battery but first since I'm already in my inventory I use this time to save an inventory trip and do the gem box puzzle. This was another thing in the run that could go wrong and mess me up. Sometimes the middle piece won't fit but I practiced it a LOT beforehand and came up with a way to have almost no problems. I was nervous during the whole thing but the puzzle was flawless and did it in almost sub 10 seconds. The dogs were a bit kind to me and then I make my way to the mines. Mines: Nothing too big can go wrong up until I take the elevator down to Lisa. At this point I was doing great and healthwise too. I still had a first aid spray and so I easily risked dodging Lisa all 3 times I had to make it by her. The first 2 went brilliantly, but the final time she got me. To be honest though I wasn't surprised in the slightest and was actually happy that I got 2/3 because sometimes it's only 1/3 I dodge her and she is too cruel to me. On way out I use up the first aid spray since I'm already in the inventory and I need the room to pick up stuff before the end of disc 2 anyways. Back to mansion/Basement with Lisa: I make my way back to mansion and pick up final stuff before heading to main hall and basement with Lisa. I grab my book and head to the final fight with her. At this point I knew the run was a possible 1:31 and for so long I thought only a 1:32 was possible, so I was BEYOND nervous. I had the worst sick feeling in my stomach and didn't want this amazing run to end this way. This fight can be totally cruel and random and I've had her knock me off at a good run before. You can be 100% safe but waste too much time that it's not worth it in a speedrun. I dove into the fight though with trying to keep myself calm and just hoped for the best. I did so and...... the fight went absolutely 1000% FLAWLESS. I was stunned by the end of it (even though she did give me quite a scare at the very last stone hehe) I knew this run was most likely making it to the end and I had a 1:31 world record. I switched to disc 2 seeing I was clearly 1:31 faster than my old run which easily made it a 1:31. I'm sitting here now typing this and so happy I pushed myself for this run. I may do a Chris or Jill segmented run in the future, but for now it's time for a break from this game. Like I said, I always knew I was good at the game, but didn't think I was good enough for this. Time to keep proving myself wrong I guess. Single-segment as Jill in 1:29:43 by Shawn Jones. Well over a year ago, I set a goal to beat Resident Evil in under an hour and a half. I wanted to play with Jill, on normal, and not use any secret weapons such as the rocket launcher. This is also known as an "out of the box" speed run. I put forth a lot of effort before I realized just how difficult my goal was and ended up settling for a time of 1:38:58. At the time, it seemed impossible for me to go below 1:30:00. As August 2004 rolled around, I became motivated to improve my time. I learned of the strange stair strategy, where rapidly tapping the run button allows you to travel across stairs faster. I also slightly improved my strategies and put forth a greater effort than beforehand. It wasn't long until I realized that a time below 1:30:00 was within my reach. However, I knew I would need a very good run with minimal mistakes. After a couple weeks of trying, I finally broke the 1:30:00 barrier and achieved my long-time goal. I was extremely pleased with this run, however, most of the mistakes I did make came early on. A couple zombies grabbed me that shouldn't have, the battle with the dogs on the balcony could have been faster, the crimson head boss in the graveyard fell down, and I stopped a weather vane incorrectly. However, from that point on, I played extremely well, at least by my standards. I ended up completing my run with a time of 1:29:43. I would have great trouble trying to improve this, so I will be satisfied. Single-segment as Jill w/Rocket Launcher in 1:24:35 by Trevor Seguin. this was my first major speedrun project. there was a contest in the summer of 2002 held by TG for the fastest run in this category. i participated but couldn't even beat the 1:33:09 time by Wolff Morrow set at the beginning of the contest. Martin Bedard ended up winning with a time of 1:30:39, which i thought was unimaginable. until late 2003, i played Tekken for competitive gaming, then decided to give this run another try in January 2004. after a month or so, i ended up with a time of 1:29:24 that i planned on keeping to myself. i haven't seen his run, but i figure the major reason i was able to beat Martin was because of the knowledge that running speed is actually increased without a weapon equipped. Martin and Wolff considered if this was possible but ultimately decided there wasn't a difference, which was wrong. i was fairly content with my 1:29:24 time. in March however, i came across Shin's Biohazard speedrun site from the TG forums and found i was crushingly defeated by a time of 1:27:55 by the japanese gamer Shin in just the "new game" (non special weapons) category. watching a few sample videos of the run, i learned of some very key strategies that i missed in my limited individual research into the game, such as the infamous stair trick. this is the product of months of failed attempts at a run that i had enormous expectations for. the end result still has some flaws - naturally. this speedrun is memorable because not only was it my first, but i experienced the greatest degree of frustration trying to achieve it than with any other run i've gone on to do. i had a rapidfire rate of about 8 pushes per second for this run. i can do better these days, so i considered going back to this game now and then, but i probably ultimately won't. i'm aware of the rocket launcher stigma that exists out there. i'm only addressing it briefly because i don't want to seem oblivious. i get your stance - please don't go off in the forums again in response to this run. it's annoying. the run doesn't actually utilize the rocket launcher against enemies a whole hell of a lot... in fact, i dodged zombies in a hallway that i'd pass through multiple times in the game just to make the run more interesting. i tried implementing as many interesting strategies/actions in the run as i could, as a matter of fact - dodging enemies "unnecessarily" being the least of them; an assumption that i decided to go along with (that dodging was faster than shooting) for the sake of coolness. i dropped in a number of cool, "unexpected" things - some of which actually save time, and others that may not, but were preserved for the sake of making the run more interesting. for example, i'll grab the emblem as early as possible. probably not optimal, but it allowed me to use fancy cursor movement in the menu screen and use a little swapping trick involving it with the storage box. later, in the residence, the zombie that'd normally be in the hallway in the dorm room with the ladder on your way back wasn't there, because previously i had allowed it to enter the bathroom and LEFT it there. see what i mean? i'd call these actions "personalizing" the run. these days in my runs i'll "personalize" as much as possible, but my goal is strictly speed - in other words "personalization" will only occur if it helps save time, or if the difference is nearly nonexistant (i.e. less than a second). in my opinion, the mansion revisited portion of the run is the most exciting to watch. lots of dodges in a short time period. on the snake, i manually aimed the rocket launcher to hit it off-camera, which is hard and very cool. the dog dodge at the end - when i led it around the fountain in order to avoid it - was improvised. i had originally planned on charging straight through that area, since the initial dog behavior seemed to allow it... but something was wrong when the dog hadn't passed by me in the next camera angle, which would've granted me easy passage, and i realized the thing was going to hit me from the front. i immediately just tried running around the fountain to avoid it, and the damn thing actually followed me around. never improvised like that in any speedrun since. the only major flaw in my strategy planning is walking up the stairs partway to shoot Plant 42... this was proven unnecessary in one of packattack's runs where he does it from the floor, near the bottom of the stairs. this run is special to me and anyone who is familiar with REmake should see it. enjoy. HD version Single-segment 100% as Jill: 1:29:20 by 'sshplur'.